Stephen P. Radzevich | I.K International Publishing House Pvt. Ltd.
Dr. Stephen P. Radzevich is a professor of mechanical engineering and manufacturing engineering. He has extensive industrial experience in gear design and manufacture and has developed numerous software packages dealing with computer-aided design (CAD) and computer-aided manufacturing (CAM) of precise gear finishing for a variety of industrial sponsors. Dr. Radzevich has spent over 35 years developing software, hardware, and other processes for gear design and optimization. Besides his industry work, he trains engineering students at universities and gear engineers in companies. 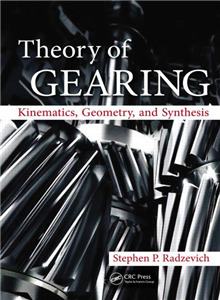 He has authored and coauthored over 30 monographs, handbooks, and textbooks, including Kinematic Geometry of Surface Machining (CRC Press, 2007), Gear Cutting Tools: Fundamentals of Design and Computation (CRC Press, 2010), and Dudley’s Handbook of Practical Gear Design and Manufacture (CRC Press, 2012). He has also authored and coauthored over 250 scientific papers and holds more than 200 patents on inventions in the field.